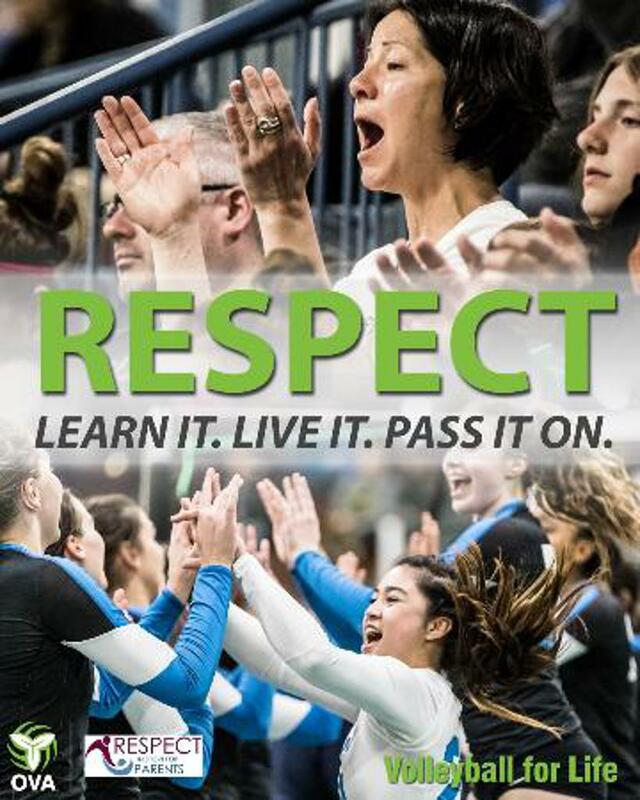 The Ontario Volleyball Association will continue to utilize the Respect in Sport Parent Program will be used by all Club Member parents, effective for the 2018-2019 season. This roll out is a testament to the dedication the OVA and its members have in making this amazing sport fun and enjoyable for all. Respect Group was co-founded by former NHLer Sheldon Kennedy in 2004. It partnered with the Canadian Red Cross to create a best-in-class e-learning curriculum for mass consumption. Participants are certified through a 60-minute on-line program, they can do from anywhere with internet access. Cost is $12.00. Respect Group Helpdesk Support is available 8 AM to Midnight EST. Support is available by phone, email or live chat. Please go to ontvolleyballparent.respectgroupinc.com and click on Helpdesk Support in the lower left corner of the log in page, or log into the program and click on the Help tab in the banner. You can find Frequently Asked Questions further down this page. The cost is $12.00 and the program takes about and hour to complete. $1 goes to Pay Pal for fee processing, $1 goes to the Canadian Red Cross (Curriculum Partner of Respect Group), $1 goes to the OVA for administration/promotion, and $9 goes to Respect Group for hosting, 24/7 bilingual help-desk support, program updates, and on-going support to OVA and Club members. 4. Does a parent/guardian from each family at all levels and ages have to take the program in 2018-2019? Yes, the program is designed for players and families at every level (11U to 18U) of competitive indoor and beach volleyball programming at the OVA. Players aged 18 and up are NOT included in the RIS – Parent Program. This program is specifically targeted at parents/guardians. It is a requirement that each indoor player has a parent or guardian who has completed by the program by December 31, 2018. Each beach player must have a parent complete the program prior to participation in their first event. The player(s) will not be permitted to participate in Ontario Championships (Indoor or Beach) until such time as a parent/guardian completes the required program. Some Clubs purchase a small number of bulk-purchase licenses for this specific purpose. They can issue the parent a pre-registration code to use in lieu of payment. Administrative Access to the data-basing side of the Respect in Sport – Parent Program will be provided to designated registrars/administrators, as approved by Ontario Volleyball. Those with administrative access will be able to run reports, look up individual certification records etc. Parents/guardians are asked to enter their RIS number into the child’s profile in the National Registration System (NRS). The parent can also fill out their RIS number on the OVA Release of Liability, Waiver of Claims and Indemnity Form and/or Informed Consent and Assumption of Risk Agreement when providing the form for their child and give it to their Club Contact for the season. A parent, or a Club contact (on behalf of the parent) can ask for an extension or exemption, if there are extenuating circumstances. An email must be sent to Carrie Campbell at ccampbell@ontariovolleyball.org to ask for an extension/exemption, prior to December 15, 2018. Parents should note their certificate # on the OVA Individual Registration Form, Release of Liability, Waiver of Claims, Informed Consent & Assumption of Risk, and Terms & Conditions for their child and they can provide a copy of their certificate to their Club Contact (registrar). Parents/guardians should also login to their child’s National Registration System (NRS) account and enter the certificate number in their child’s profile. No. Parents can import their parent certification over to the Ontario Volleyball parent program data-base. Importing instructions are very simple, and can be completed in a couple of minutes. There is no cost to import an existing certification. There is no expiry, however re-certification is at the discretion of the Ontario Volleyball Association. Respect in Sport works very closely with associations and registrars to support them through implementation and beyond. In addition to a 18/7 live person bilingual help desk (available from 8am-1am), training webinars are made available to administrators/registrars. Timely responses to e-mails and phone calls will be provided by Mark Allen, your direct contact at Respect Group throughout the implementation process. 21. Why is the program being mandated across the OVA?